Okey dokey. I'm almost all caught up with the updates I missed while I wasn't feeling well. Two reviews have been posted this week: MillionHeir and Deadly Creatures. Hope you enjoy them. I just need to do Friday's update and a review for last week, and all will be well. The big news this week is that I made an archive here of all of my reviews posted on SPC! Every review in blog form is listed, and new ones will be added as they're written and posted. Want to find what games I've reviewed? Thursday - February NPD, The Moose is Loose! New Review - Will be up this weekend. This guest review is written by my brother, and with his permission I'm posting it here on SPC for your viewing pleasure. Still on the fence about picking up the DLC? Well, technically you can't pick it up since it's digital, but I digress. Here's his review of GTA IV: The Lost and the Damned for Xbox 360. A lost cause worth joining! When Grand Theft Auto IV was released last year to unprecedented fanfare, the words greatest game, 10, and game of the year were thrown around like they were going out of style. That said, while GTAIV did have a nice atmosphere to it, a sizable portion of people that played the game questioned certain decisions the game made or even excluded altogether. Mission variety was lacking, the story had characters that seemed to serve no purpose other than inflating the game's length, and in-game rewards were replaced by achievement points. The sandbox was a bit more empty than at first glance. It's now been ten months since GTAIV's release, and Rockstar has released its first of two DLC episodes in The Lost & Damned. Let's just say it right now. If you were one of those that thought Rockstar had lost its touch with how IV played out, don't worry. The Lost & Damned has arrived, and it has delivered the GTAIV experience you've been looking for. 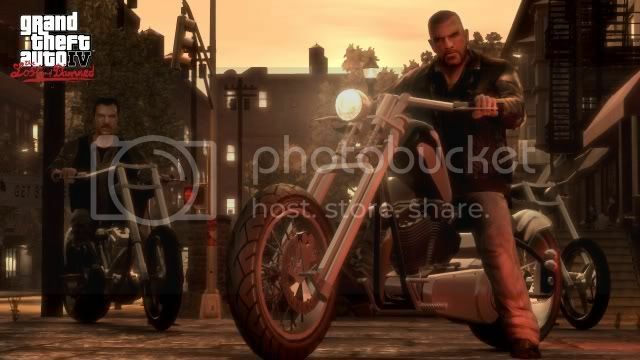 You're Johnny Klebitz, one of the Lost, a gang of bikers that was mentioned and encountered off and on throughout GTAIV, going to pick up your former and soon-to-be once again leader, Billy Grey from a stint in the slammer. Even during the introductory cutscene that plays, you know that you're not going to be as isolated as Niko was, and why should you be? Johnny's already an established character with connections and friends. He may be Lost, but he's already found his path, or so he thinks. Over the course of the game, he'll do what's asked of him so he can keep those connections and keep his world from falling down around him. It's a simple premise, but the execution is handled in such a grand fashion. 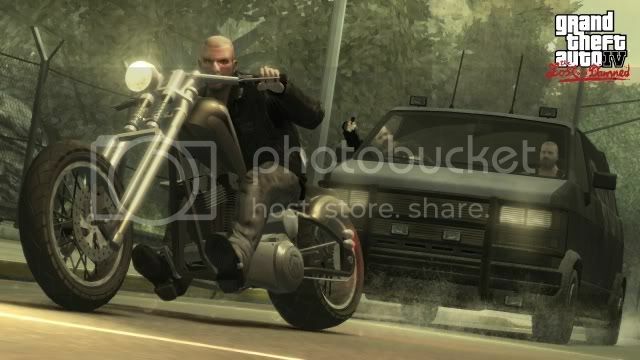 The game has more personality behind it, from its pre-mission cutscenes that show the increasing tension between Johnny and Billy and their ideas on how the gang should be run to the in-mission dialogue between your other biker buddies. That's another thing. You won't be tackling many missions on your own. You'll have plenty of gang members riding with you, both story related, and a couple of nameless extras. Even better is that if you can keep your friends alive to the end of a mission, their stats will increase to where they'll be able to carry better weapons when they're fighting off whatever you've been put up against. Get their bars filled all the way, and they'll be carrying the best equipment, ensuring your success all the more. The fact that the AI for the most part is decent, very rarely dipping down to incompetence, is a nice touch. You really will want to keep your gang at their strongest just because you know it will help you out in the long run. Even better, the mission variety that I complained about in the opening has been fixed. I'm not kidding when I say that there's more variety in the game's 23 story missions than there were in all of of the 90+ that GTAIV had. 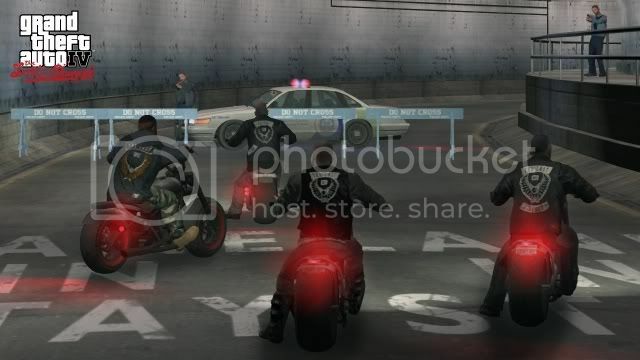 You'll steal some rival gang's bikes in the early going and drive off with them, you'll lure some annoying foes into an ambush, and you'll ride shotgun trying to keep everyone and their mother off your tail. It's fun to play, something that you couldn't always say about GTAIV. Moreover, every one of these missions has a purpose. No longer will you feel like you're playing 10, 20, 30 missions in a row with horribly generic characters just to slowly progress through the story. You always know why you're doing what you're doing, whether it's for Johnny's gang, his friends, or even himself. I brought up GTAIV's atmosphere, but this game has come along and completely smashed that up into pieces. It's not as though the game just has those 23 missions either. More side missions and minigames such as air hockey have been added to the mix to keep things fresh. Races have been revamped so that they've been changed to bike races complete with Road Rash style rules in that anything goes and you can knock rivals off with a well-placed baseball bat shot midrace. Gang wars allow you to max out your gang's stats faster as well as give you the ability to unlock weapons in your hideout. Oh, that's right. Did I mention that the game actually gives you rewards once again? Bikes for races, weapons for winning gang wars, this is what was missing from the original game. It's basically as though Rockstar heard every one of their fans' complaints and threw this DLC back at them as an apology. Honestly, this is one of the best games I've played in a long time, and it's only $20. That's why I have to recommend this game to any and all that have played GTAIV. If you loved IV, then you'll wind up most likely enjoying this. If you're one of those that were bored of the original and skeptical of how this would turn out, give it a try. It's only taken ten months, but your GTAIV has finally arrived. I had my cold for 2009, but I'm pretty much 100% now. Otherwise these updates would have been up already. Regardless, I'm slowly posting my missed updates. There's still one more for Wednesday which is a review. I'll write that up tomorrow. For now, there's a new review for Mystery Case Files: MillionHeir and a quick recap of the February NPD. Also, if anyone owns the Animal Crossing: City Folk and would like to play online, send me a message. Not too thrilled of online play, but I want to do it for my review. February NPD - Some Fool's Fighting A Road, and People Are Buying to See It. Wii Fit leads the charge this month. Can't say I know too much about the game. Regardless, both versions of Street Fighter IV are neck-in-neck on the 2nd and 3rd spots respectively. Heading downward on the list, I'm very surprised to see New Super Mario Bros. and Mario Kart DS up on the charts for the second month in a row since hibernation. I guess all those new DS owners have to get something to buy, right? Meanwhile, for the two days that it was out in February, Killzone 2 managed to move 323,000 units. I know this was a big title for Playstation 3 owners. Did anyone here pick it up? I rented it, but I can't afford it yet. I got Resident Evil 5 instead, so I'm not too disappointed. Speaking of which, Resident Evil 5, Halo Wars, Pokemon Platinum, Grand Theft Auto: Chinatown Wars, and more release this month. The next NPD results ought to be interesting indeed! The majority of creatures in the following game creep me the crap out. Anyone else have a bad thing for bugs, snakes, lizards, and Billy Bob Thornton? Here's a review for Deadly Creatures for Wii. Giant, hairy, venomous tarantulas. Scurrying, poisonous, violent scorpions. Hissing, slithering, volatile rattlesnakes. These are just some critters that make many people's skin crawl. 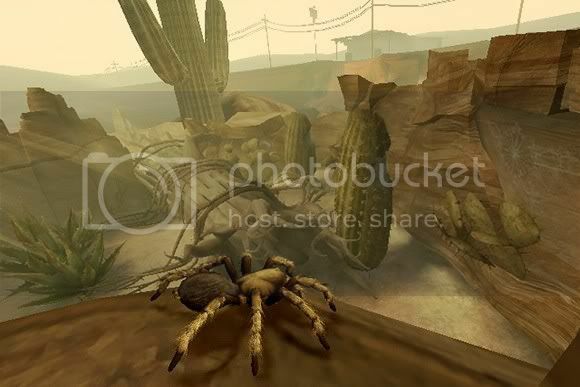 This didn't deter Rainbow Studios from developing a game that puts the player in the role of two of the desert's deadliest animals as they traverse everyday areas in attempt at nothing more than survival. Arachnophobes, be damned! 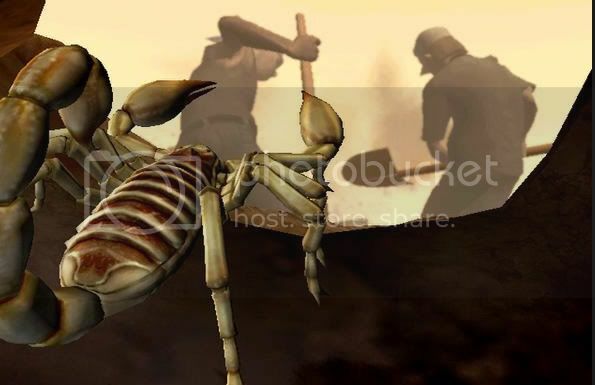 It's Deadly Creatures for the Nintendo WIi. Deadly Creatures is quite minimal regarding context or story. The only piece of narrative throughout the course of the game concerns the deadliest creature of all-- man... well, men. Two men are trekking throughout the desert searching for a long lost treasure as they take on the tumultuous heat, arid desert sands, and the deadly creatures that infest them. That's just the gravy to this game's mashed potatoes. The real tale is all about survival. 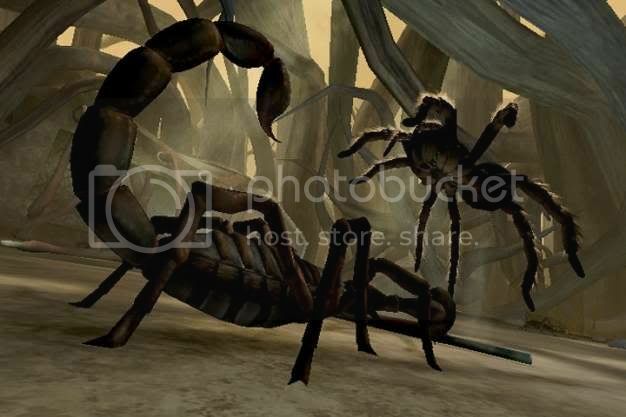 Not of the two human characters, but the tarantula and scorpion that the player controls throughout the duration of the game. The treasure-seekers are just superfluous and coincidental to the creatures roaming the sandy desert dunes. They're only concerned of one thing, and that is making it through another day in their animal-eat-animal world. Unfortunately, if the idea of playing a tarantula or scorpion doesn't do anything for you, you're pretty much out of luck already. The developers give no motivation to be playing. You're just plopped into a world and basically told, "Here. Explore." And that's it. With no incentive given, there's really no real desire to play through the game for those uninterested in the premise. To be positive, Rainbow Studios somehow got Dennis Hopper and Billy Bob Thornton to voice the two sniveling humans, and they do a good job. It's just confusing why of all games to get such big talent, THQ chose a virtually unadvertised low-buzz game like Deadly Creatures. The two guys are just there throughout the game. One of the most fantastic features of Deadly Creatures are the abundance of atmospheric areas that your two creatures explore. Everything brims with ambiance, and multiple times I got chills exploring decaying tunnels, the innards of animal skeletons, and much more. You really feel as if you're adventuring through this entirely different but thriving world with the eyes of the various creatures infesting the lands. Areas are pleasing to look at, creatures are modeled well, and the soundtrack features plenty of percussion, subtle instrumentation, and environmental sounds to give an added authentic touch to the ambiance. The scorpion and tarantula are animated exquisitely. 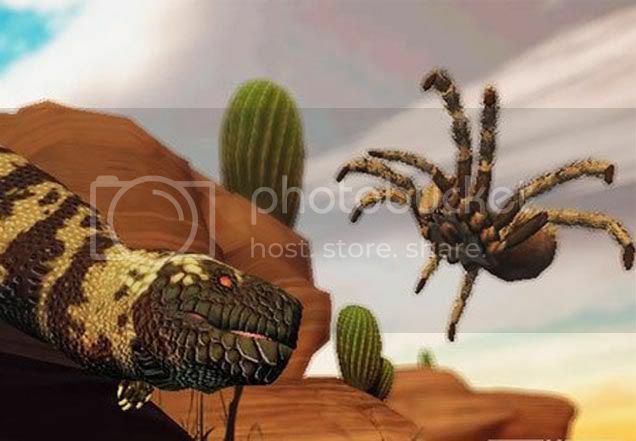 It's like Rainbow Studios motion captured the real things for the game, and even if they didn't, it's just hypnotic to watch a tarantula's legs scamper across the ground. Deadly Creatures spans across ten chapters each of which lasting anywhere from ten minutes to an hour. Each chapter alternates between you controlling the web-spinning tarantula and the stinging scorpion. Both creatures control differently. Whereas the tarantula is more agile, can leap with ease, shoot webs, and can eventually crawl upside-down, the scorpion is permanently grounded, can cover itself with its claws for defense, and can burrow tunnels and cut away path-blocking weeds. Each chapter has multiple objectives that are given to the player one at a time. When one is met (such as meeting up with the scorpion for coffee), the next is given until the end of the chapter. It's linear in this way as are the level themselves for the majority of the game. Most of the levels feature narrow pathways to crawl along through and small-sized areas for fighting. These levels are all very much straightforward save for a fork in the road leading to a secret goody or two. Other levels play out in the outdoors with relatively expansive areas for your insect to scavenge around through and explore. The later levels feature some stellar level design where you scurry along the walls of a gas station bathroom and inside the walls of the main "villain". Unfortunately, multiple levels have you playing through the same areas of past chapters only as the other creature or being faced with a different layout of the same area. Another cop-out are the black smoke barriers that block your progress, keeping you inside a confined area of the game. Some are up until a room is cleared from enemies while most are just there for no other reason than to be arbitrary! The world is finely crafted. The two main types of gameplay in Deadly Creatures are combat and exploration, and both shape up pretty well all things considering. By bashing bugs and other agitated enemies, whichever creature you're controlling earns experience. Earn enough experience, and new moves and abilities are learned. When it comes to finishing moves, a quick time event is executed relying on the Wii remote's gesture controls. It amazes me how something as simple as flicking the controls downward or shifting to the side doesn't register half of the time when other games register flawlessly. When they do work, you're treated to a visceral vat of violence as your creature exterminates the enemy in a swift way that would make Terminex jealous. Fortunately, failing QTEs during combat offers no penalty. You can just hit the C button and initiate the QTE once again until you (see: the game) gets it right. Pointer controls are also used and for the tarantula. Squatting its hairy legs down as it aims for a target to pounce, the tarantula performs this by you aiming at the enemy to ambush. Actions like shooting a web into the air or to even to just look around are marred by poor implementation of the aforementioned pointer. There's a severe dead zone when trying to look around which makes many sections of the game more frustrating than necessary. Another beleaguering bother (besides redundancy) is the camera. As the game features plenty of close-quarters combat as well as enclosed areas, the camera-- which is constantly locked behind your creature-- creates a myriad of annoying moments. When the spider needs to scamper around a circular log, the camera loves to jump around as if it's being controlled by one of the blasted edible-for-extra-health grasshoppers in the game. This makes getting confused in which way to go a constant problem in such sections. Thankfully, a helpful arrow can be pulled up at any time with the 2 button which points which way to go. "Honey, I'm home! ...What the hell are you doing with my wife!?" The entire campaign can be finished in less than eight hours, but there are some secrets for perfectionist gamers to acquire. Every chapter has a certain number of grub bugs littered throughout each area. Some of these are out-in-the-open while others require the player to do some extra digging. 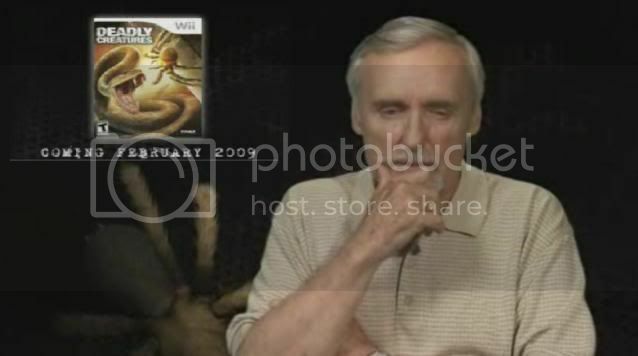 Collecting grubs unlocks concept art in the menus and even interviews with the stars of the game, Dennis Hopper and Billy Bob Thornton. Other than that, there's really no incentive for one to return to the game after completing through it once as those rewards are rather lackluster for the fumbling through levels required. Deadly Creatures is an interesting concept, but multiple design flaws and gameplay quirks stop it from being anything more than just a bit above average. The lack of a compelling premise, uninteresting, perhaps even revolting to some, characters and subject matter, and the brevity of the quest and content all seal Deadly Creatures' fate as a title that will be ignored by many. At the very best, it should be a purchase for those who very much enjoyed the game, but for $50, there's plenty of other games in 2009 already for Wii owners who have already decided for Deadly Creatures to buzz off. Did any of you like me in Super Mario Bros.? Is this game like that?" I haven't done a DS review in a while, so let's correct that. What we have here was a game I saw was $20, was somewhat familiar with it, so I decided to pick it up-- completely on a whim. It's none other than Mystery Case Files: MillionHeir for the Nintendo DS. Who Wants to Be A MillionHeir? One of my favorite types of books in my childhood were the "Where's Waldo" series. 1) I loved surveying the pages, discovering new things I didn't see the last time, and 2) There were little words to read. 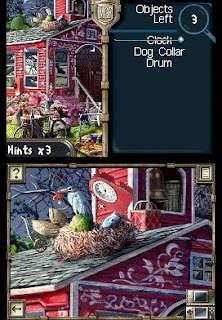 There have been several PC games featuring the same kind of "find person or thing in complicated picture" hook, but the Nintendo DS, which seems perfect for such a concept, hasn't seen much of any games of the sort. Mystery Case Files: MillionHeir, from Nintendo and Blue Fish Games, aims to bring the joy of searching for meaningless items to portable and electronic form. Is this case worth solving, or should you "find" a better alternative? puns that the characters like Cole Minor, Manny Cotti, and Emmy Daynow are infested with to the goofy eccentricities of their personalities. That said, this mystery won't have you on the edge of your seat, eager to solve the case by any means. Going from literary merits (or lack thereof) to the aesthetic side of things, the areas that need to be pillaged through are full of an exquisite amount of detail. Each area looks like a well-painted work of art and are very nice on the eyes. Most of these have one or two segments of animation such as a train roaring down the rails in the background or the intermittent squawking of a cuckoo clock. Character design is very goofy, dark, and the cast looks like they just escaped from the box art of the Clue board game. Musically, the soundtrack is fairly limited, but a few themes do stick out. An annoyance comes from background chatter and other forms of sound effects during the game as you're searching through the game's many areas. It just comes off as grating after a short while. 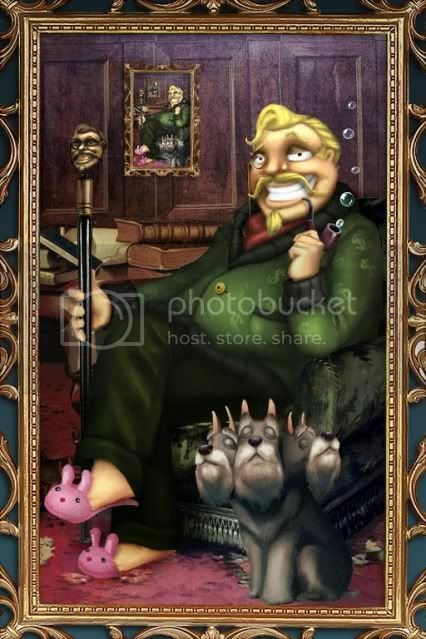 Mystery Case Files: MillionHeir takes the finding fun of the "Where's Waldo" and "I Spy" series of books to interactive form with an exhaustive amount of puzzles to solve. Each nominee for heir that you interview requires uncovering various hidden doodads throughout multiple screens before they'll open up to you. Each screen is one large area that can be scrolled and surveyed either with the face buttons or by tugging with the stylus. A list of items to find rests on the right side of the bottom screen. This can be toggled in and out of view at any time. The list of items ranges from a handful of items up to ten. Sometimes you'll be asked to find three of a given item before that item on the list is checked off. Starting off, items are quite easy to spot. A poke of the stylus marks it off as found. 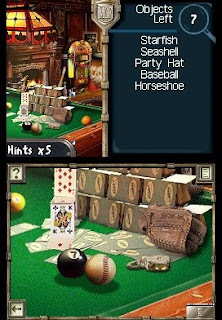 As the game progresses, the amount of items needed to find and the difficulty of finding them increases. Some of which later on are just frustrating to find as they can be camouflaged, and most items are just in nonsensical locations so they can be anywhere. However, when patience is something that can't be located, there's a finite amount of hints that can be used to automatically reveal the location of a given item. There's more to finding items than just poking and prodding for items. Some items on the checklist are actually clues. A clue such as "Apple of My Eye" would require you to draw a line connecting an apple to an eye of some form while other clues need you to interact with an item by rotating, rolling, and so forth. Additionally, there's numerous tools that a detective needs in order to solve the case at hand. The flashlight illuminates darkened rooms, the X-ray will spot items that otherwise would be impossible to spot with the naked eye, fires can be blown to smoke with the DS' microphone, and the goggles can locate items hiding just underneath sunken depths. 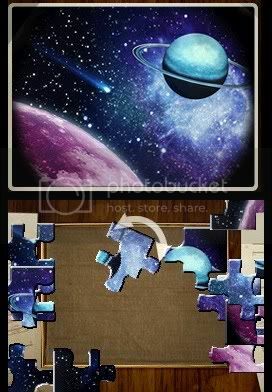 Apart from the scavenger hunts, there's special puzzles and activities between hunts such as a Rubus cube-like tile puzzle, jigsaw puzzles, fingerprint-dusting and more. They're nothing extraordinary, but they do help break up the monotony of the core game. And boy, is there a lot of monotony here. 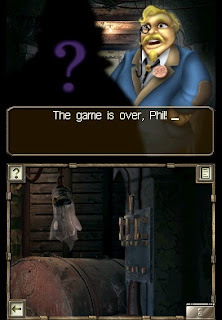 The main problem with Mystery Case Files is after a bit into the story, the entire game just feels like one long grind. Find these items. Great job! Now find these items. Great job! Now find these-- you get the idea. It gets very tedious doing four different screens of searching and making little headway in the grand scheme of the game. It got to the point where I was so disinterested, I just started tapping every inch of the screen for items. Since there's no penalty for this, it was a heck of a plan. Didn't make the game any more fun, but it did make it go by much more briskly. The design of MillionHeir just doesn't work for this kind of game. It's far too linear, and it drags on way too long. Puzzles like this break up the scavenging. Mystery Case Files: MillionHeir does a lot to try to make itself stand out. However, with the ultimately very shallow and repetitive gameplay which makes up the heart of MillionHeir, this DS detective game is just a bit difficult to recommend. As it is, the game is $20 new, and it serves as a good time-killer in short spurts at the very least. Otherwise, you may just want to stick to spotting Waldo, Wilma, and Odlaw in print. Being my favorite video game series, The Legend of Zelda takes center stage on SuperPhillip's Favorite VGMs. The first week we will be listening to the 2D installments whereas next week we will be hearing music from the 3D installments. Our next game series is the legendary Legend of Zelda franchise. I don't know any other way to kick things off by playing the main theme of the series. Not just one version-- but four! We have the Smash Bros. Brawl version which is followed by the Smash Bros. Melee, A Link to the Past, and finally the Hyrule Symphony versions. The dungeon theme of the very first Legend of Zelda game, the one that started it all. The first game with a battery pack included for saving your data without the hassle of passwords. Not my favorite Zelda by any means, but it's still a fantastic game. This song comes from one of my top 10 favorite games of all time, The Legend of Zelda: A Link to the Past for the Super Nintendo. It's the theme used as Link ventures through the unforgiving Dark World. Released in 1991, A Link to the Past is still an epitome of great game design even after 18 years. Where do you personally sit with this title-- The Legend of Zelda: Link's Awakening? Everyone has their personal favorite Zelda title, and this is a popular to choose alongside A Link to the Past and Ocarina of Time. Tal Tal Heights is still a song that pumps me into a Octorok-slaying mood. Not too shabby for a song playing with the Game Boy's primitive speakers to do that, huh? This tune plays in the quaint Minish village where the Minish people, a microscopic race of magical creatures dwell and call home. The Minish Cap may not have had eighty-thousand dungeons, but it was a remarkable and enjoyable title from beginning to end. A fantastic game. Feel free to leave back any form of constructive feedback. Next week Zelda plays on with Ocarina of Time, Majora's Mask, Wind Waker, and Twilight Princess. Stick around!